The X-Factor USA’s Thanksgiving episode delivered a bucket load of tears, emotion, and pride. The episode was wrought with quite a few misses, but the acts that were able to hit, did so in a way we’ve never seen before. Below is Celeb Dirty Laundry’s trusty review of last night’s performances. Tonight, one of these contestants will leave the competition. Our vote is on Paige Thomas and/or CeCe Frey. See below how your favorite did and let us know in the comments who you liked the best. CeCe Frey – Mentored by Demi Lovato – Wind Beneath My Wings by Bette Midler – CeCe, oh CeCe… Her shaky rendition of one of the greatest songs of all time was a slap in the face. She missed 80% of her notes, her voice faltered and became nasal and her “sentimentality” and expression of emotion came off as contrived and desperate. This might sound like we’re absolutely horrible people, but Thanksgiving week isn’t there for contestants to win sympathy votes, it’s there to see how easily contestants are able to relate with their emotions and bring it across in a song. Nothing of this happened during CeCe’s performance. She should have left already. OUR SCORE – 4 out of 10. Beatrice Miller – Mentored by Britney Spears – Chasing Cars by Snowpatrol – This is what we’re talking about! This is the performance we were waiting for from Beatrice! Her vocals were emotional, sincere, haunting, and somber. The hoarseness to her voice, the over-the-top notes, and the blast of air near the end, made this one of the best performances this little one has ever delivered in this competition. The holy trinity– Beatrice, Diamond, and Carly – will blow the other contestants out the water. Thank you, thank you, thank you Britney! OUR SCORE – 10 out of 10.
Who do you think will leave tonight? Do you think Paige has long overstayed her welcome? Let us know your thoughts in the comments below. 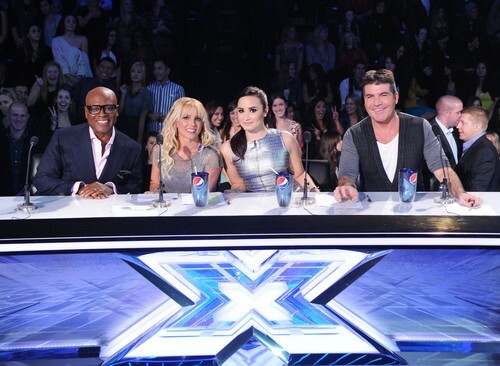 Who Will Be Eliminated From The X Factor Tonight?